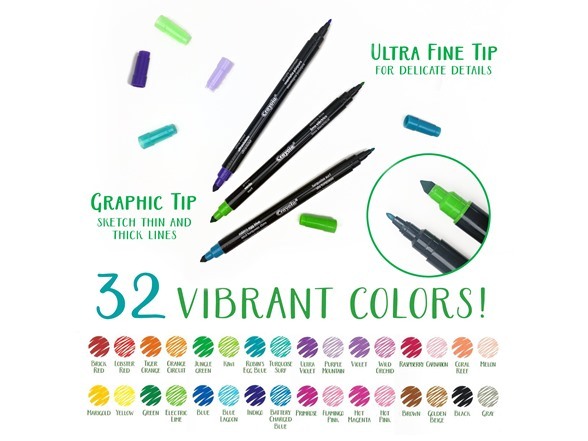 A total of 32 complimentary colors, two on each marker. Dual tip features a Super Tip and Ultra-Fine Tip. 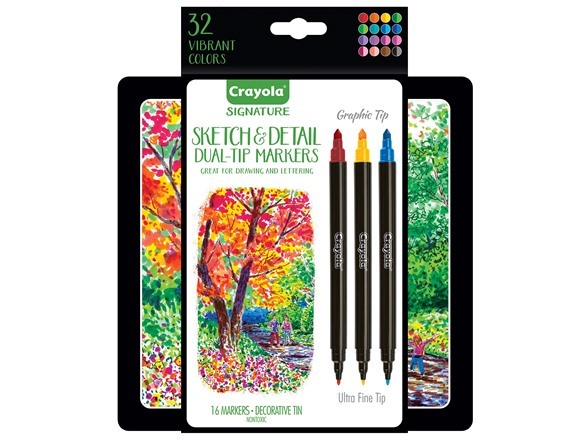 A great gift set for fans of adult coloring with a beautiful, protective storage case.